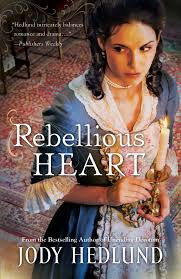 Steps: Bookshelf Friday - Rebellious Heart by Jody Hedlund and GIVEAWAY! Bookshelf Friday - Rebellious Heart by Jody Hedlund and GIVEAWAY! Around last year I stumbled upon Jody Hedlund in the blogosphere someplace and was immediately snagged by the fact that she is a fellow Michigander. I picked up what was her third book, Unending Devotion, and was immediately hooked. While I read historicals, they aren't the first genre I usually gravitate toward. However, Jody is an author I'd read regardless of genre because she is an amazing writer. Jody has said this book was loosely based on John and Abigail Adams, and if so, then they are a couple I'd loved to have met. Their pairing, the beautiful friendship they forged, and their devoted love for one another drew me into this story. Susanna's strong character and loving heart for those less fortunate made me root for her. And Ben, well Ben...he won me over almost immediately and is a wonderful leading man. Swoon-worthy, really:) Jody did an amazing job with the chemistry between these two, and as is normal for her books, I didn't want it to end. But it did. And so I wait for the next one. Until then, pick this one up here and enjoy. OR, leave me a comment below with your email address, and I'll enter you into the drawing for an autographed copy. Yes! That's right! Jody is giving one lucky reader an autographed copy of Rebellious Heart. Woo-hoo! So leave me your info in a comment below before Tuesday 9/10 at midnight. I'll announce the winner on next Friday's Bookshelf. And if you want to learn more about Jody, connect with her at her website or her Facebook page. Have a great weekend everyone:)! 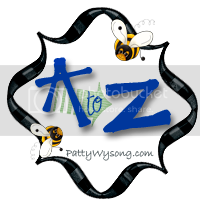 Check out the other blogs in this week's blog hop! Now I'm going to have to go check her out - thanks for heads up on a new author (for me)! You'll love her! All of her books have been fantastic, Debby! Hi Susan. I'd love to win Jody's new book. Sounds intriguing. Would love to read this. Well, you're in the drawing to win, Katrina! You'll love it, I promise! I found Jody out of the blue (internet) one day as well. She's got some great tips for writers. I haven't tried one of her books yet - would love to win one! Another fan! Got you down, Diana! I'm looking forward to reading her new book! I couldn't wait to get my hands on it! Nearly finished it in one night. If I didn't have to homeschool the kids the next morning, I would have! Jody's book sounds fantastic. I will have to find one of hers!! Hey Patty! I'd already had it planned for today too. Sure did line up nicely, right? :) You'll love any of hers. They've all had such great reviews. She's definitely an author I watch for. Love Jody's books. I'm reading 'Unending Devotion' right now and enjoying it. This new one looks really good too! I loved the mini series 'John Adams' so I'm really interested in this story! Sure you can, Cathy! Unending Devotion is one of my most favorite books:) Jody always does such a great job with her leading men. And it wasn't until I finished this that I realized it was loosely based on John and Abigail, but you can so see it! If you liked the miniseries, then YES you'll love this! Have read all of her books, and look forward to reading this one. All you readers need to check her out! I've read Jody's first two books and the third is in my to-be-read stack. Would love to win this one! Rebellious Heart sounds wonderful. Please enter me in contest. Thank you for the opportunity to win.augustlily06(at)aim(dot)com. I have a couple of her books in my TBR pile, but haven't read them yet. Maybe I should move the closer to the top. I love Jody's books! Would love to win an autographed copy! Thanks for the contest. I love this kind of books. Thanks. I have been seeing a lot about this book. I would love to win a copy. I love new authors. At least this is a new author for me. Thanks for introducing her and giving a review of her book and for the opportunity to win a copy. I have read several of Jody's books and have loved them. I love historical fiction and she just has a way of writing that is so enjoyable and makes the book so hard to put down. I would love to win a copy of her latest book! By the way, I love the cover of her books and this one is no exception. I'm glad to discover Jody. Thanks Susan and have a great weekend! Oops, I forgot to leave my email addy for the contest. This sounds like a great book. I'll have to find it if I don't win! I can't wait to read this book!! A story based on John and Abigail Adams sounds sooo interesting!! I haven't read any of Jody's books yet but I have heard this is a wonderful one, would love to read it! I have always thought the love story between John and Abigail Adams would be a great story to know more about. Hope I win a copy of this book! Thanks for the giveaway. I have enjoyed Jody's books in the past and am eager to read this one! I haven't read any of Jody's books, yet, but would love to read this one. Thanks for offering an opportunity to win a copy. Have read a couple of Jody's books - and LOVED them. Woul, of course, LOVE to win this one. Thanks for the giveaway! Please enter me in the drawing. I would love to read Jody's new book! Love Jody's books. She's a fantastic author. Please enter my name in the giveaway. Thank you!